No Fear Brush Care - Spiffo! Shaving brushes require care and maintenance to ensure that you always get a great shave and that you get the most out of your investment. Proper use, regular cleaning and periodic extensive cleaning is the three-point care and maintenance program that every wetshaver should have in place. 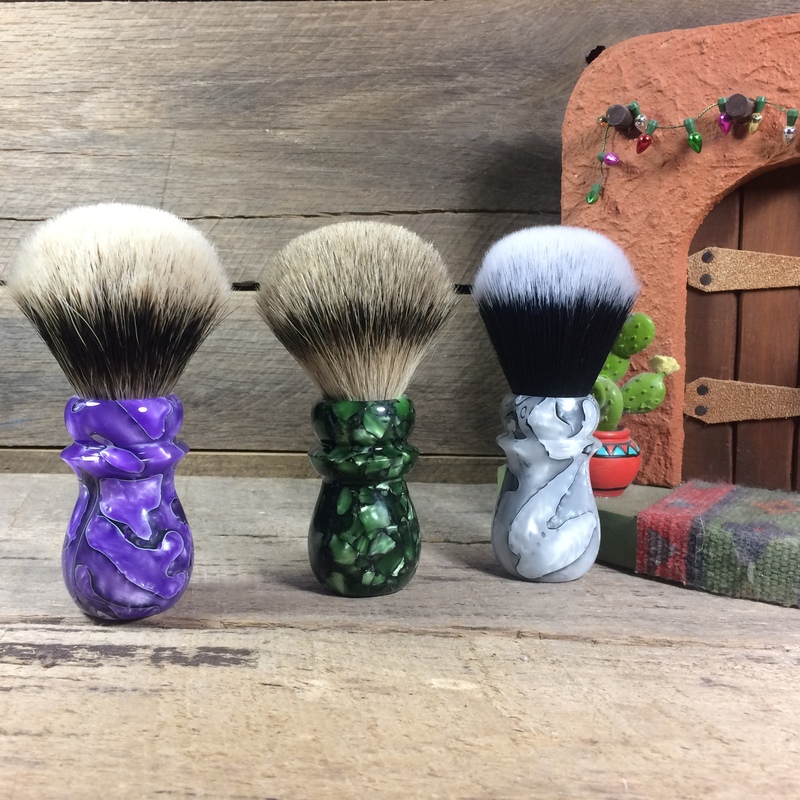 It only takes a few minutes and by making it a part of your daily routine you’re ensuring that your shaving brush will give you many years of service. 1. Shampoo the brush in warm water before the first use. Use the same shampoo that you use to wash your hair. Some also like to use a conditioner. 2. Never put your brush in boiling hot water. 3. Never press the brush into your skin. This will break the badger hair. Instead, stroke it sideways, like a painter’s brush. 4. Wash the brush well with warm (not hot) water after each use. 5. Flick the brush to remove as much water as possible after each use. You can also gently stroke it on a dry towel. 6. Never store a wet brush on its base (yes, we know some of them are flat). Instead, use a brush stand so the remaining water can move away from the base of the hairs. 7. To avoid mildew, do not store the brush in the medicine chest between uses. Instead, place the stand on vanity top to allow proper air circulation. 8. If you use a brush in a travel kit, be sure to take it out to dry thoroughly upon your return. 9. Be gentle with your brush! Do not mash the bristles into the soap, your hand or your face. You do not want to twist or break the hair. 10. A new badger shaving brush should be gently but thoroughly washed with warm soapy water before using it. This will begin the conditioning process that is further achieved with use. As well, it will help remove the aroma often associated with natural animal hair brushes. 11. Some hairs may come loose during this process. It is quite natural for a few loose hairs to come away from the brush in the first few weeks of use. The reason for this is that these are shorter hairs that did not quite reach the glue base when the knot was made. This should not be a cause for concern. 12. Do not place the brush in boiling water or pull on the knot because this will soften the glue base and weaken the join between the knot and the handle and cause the knot to come loose. 13. After shaving, always rinse the brush gently but thoroughly in clean, warm water. The ph in soap residue can easily break down the hair fibres. 14. If your brush becomes affected by mildew or a build-up of soap, soak it in a 10:1 water/vinegar solution for a few minutes and then wash as above. 15. Once you have washed your brush give it a flick to remove the excess water. Then put it in a stand with the hair pointing down. If you do not have a stand, place it on it’s side hanging over something so that air can circulate around the knot allowing it to fully dry. Next post: Shave Soap Is Good For You! Which Knot Is For You? $10 (CAD) FLAT RATE SHIPPING OR FREE SHIPPING OVER $120 (CAD)! CLICK HERE FOR MORE INFO! Click here to subscribe to our newsletter for the latest news, specials and more! Shave Soap Is Good For You!